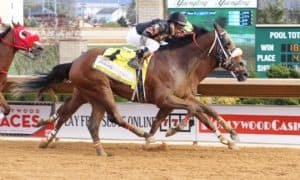 The field for the Sunland Derby (G3) is set for this Sunday, March 24, with 10 solid horses trying to earn their way into the Kentucky Derby starting gate. The winner of this race will receive 50 points, which will be more than enough to get them into the “big dance” on the first Saturday in May. 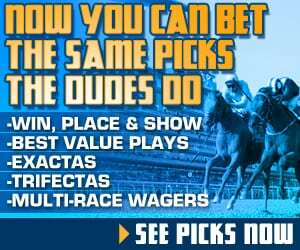 The event will go off as race 11 on a stakes-loaded 12-race card at Sunland Park. Local post time for the race will be 5:30 PM MT. 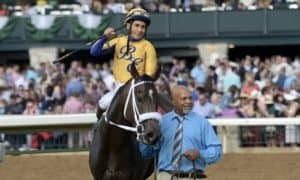 The biggest story of the Kentucky Derby Trail this season may be the lack of victories from trainer Bob Baffert. 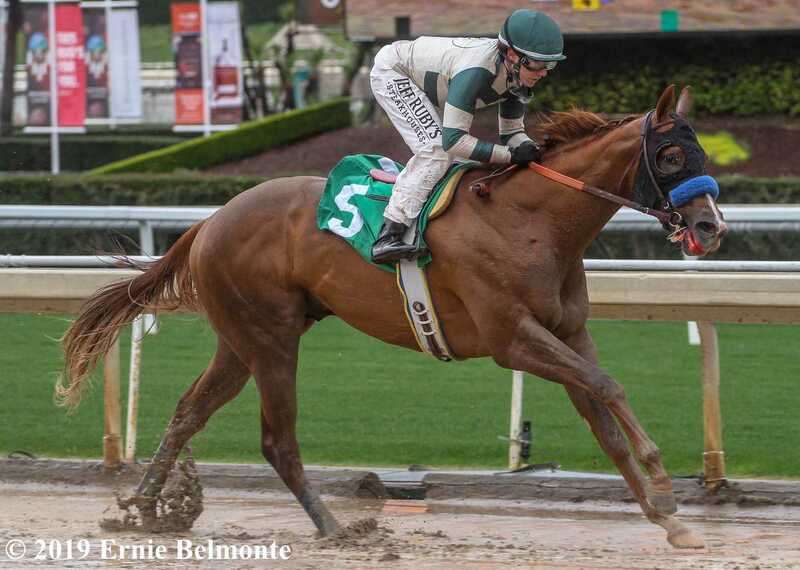 He has struggled in every race this season, except for when Mucho Gusto won the Robert B. Lewis Stakes (G3) at Santa Anita. 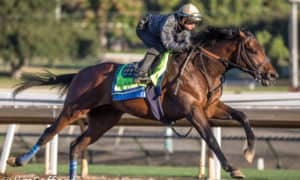 The son of Mucho Macho Man has lacked the flash of some of Baffert’s other stars; however, he has steadily improved in each of his races. Regular jockey Joe Talamo will have the ride once again while breaking from the rail. Anothertwistafate is the feel-good story of the race. 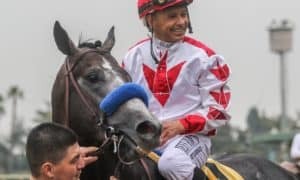 He dominated competition at Golden Gate Fields since moving to Northern California, including a runaway victory last time out in the El Camino Real Derby. This will be his first start on the dirt since his debut race, which did not go well against maiden special weight company at Santa Anita. The two big stars have drawn side by side, with Anothertwistafate starting from post 2. The Sunland Derby always has some local flavor that can be major threats, especially in the last couple of years. For this version of the race, the local hope is Hustle Up, who won the Mine That Bird Derby in his last start. Local trainer Todd Fincher is one of the best conditioners on the grounds and won this race last season with Runaway Ghost. Hustle Up will break from post 3. 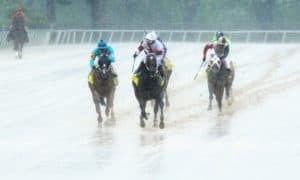 The full field from the rail out: Mucho Gusto, Anothertwistafate, Hustle Up, Wicked Indeed, Cutting Humor, Walker Stalker, Pasamonte Man, Collusionist, Diamond Blitz, and Eye Cloud. 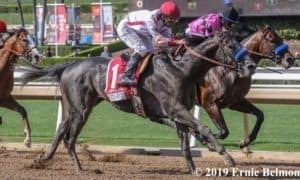 #1 Mucho Gusto – It seems like this has been Baffert’s third or fourth-best horse from the beginning; however, he is the only one of his 3-year-olds to have earned a prep race victory in 2019. He did run in a very easy spot last time, which could have made him look better than what he truly is going to be. The one big positive from that race was his ability to sit off the early speed. That will be critical in a race like this, which has several horses that like to go straight to the front. His flexible running style will come in handy as Baffert looks to get things turned around in this spot. #2 Anothertwistafate – It was hard not to put him on top after his dominating El Camino Real Derby victory last time out. That victory showed his class in a major way as he dominated the field by several lengths. If this race was run at Golden Gate, then there is no doubt that he would be the pick; however, his dirt form is the major question mark. I don’t hold his dirt debut against him, as that race was a sprint and his career debut. He will run better in this spot. Good enough to beat a Baffert? That will be a tougher challenger. #3 Hustle Up – This is the local hope, with a trainer who knows how to win races like this at his home track. 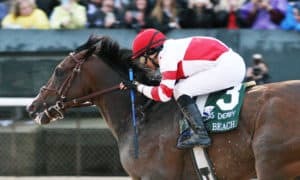 He comes into the race on a three-win streak, including an impressive win in the Mine That Bird Derby, where he defeated the favored Wicked Indeed. He is the only horse in this race that could upset the two big shippers that are coming in for this event. 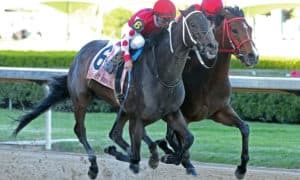 #4 Wicked Indeed – It’s hard to ever count out trainer Steve Asmussen, although there is no doubt that this horse has some improving to do in order to have a shot in a race of this caliber. He disappointed with a second in the Mind That Bird; however, he didn’t have a great trip in that race. With a better journey, he will have a shot to hit the board and turn the tables on Hustle Up. He probably can’t contend with the top two, though. 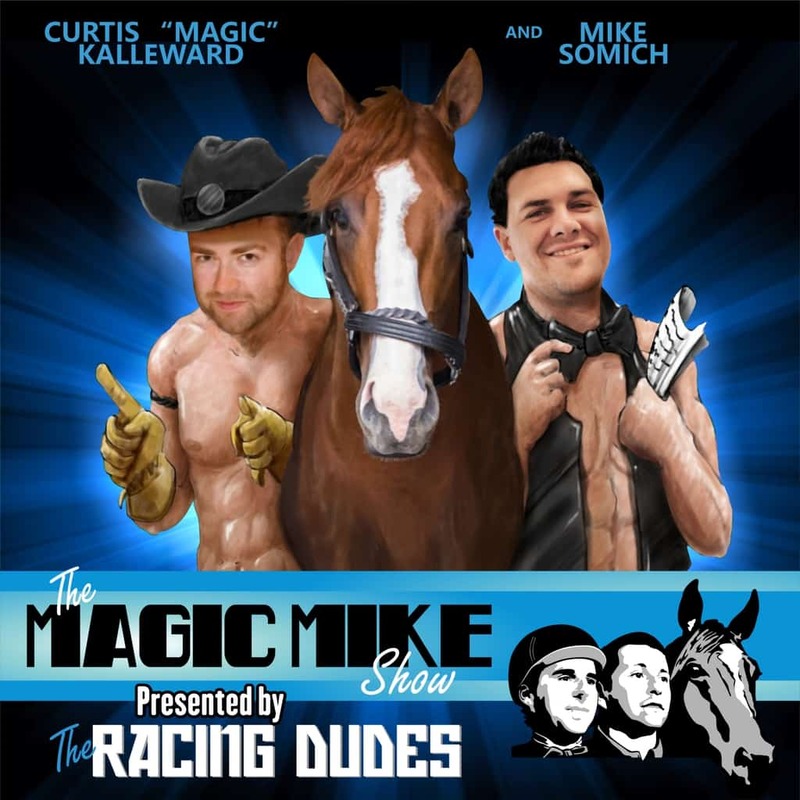 #5 Cutting Humor – It’s hard to believe that this horse is as bad as what he showed last time out in the Southwest Stakes (G3) at Oaklawn Park. He got a brutal trip in that contest, basically just quitting halfway through the race. 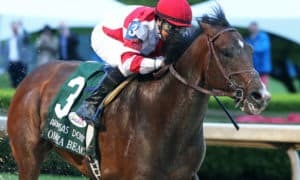 He has shown talent, though, like when he finished second to Bourbon War earlier in the year at Gulfstream Park in an allowance event. Look for him to bounce back a little bit in this spot with a better trip. If his price floats up high enough, then he is worth a long look. #6 Walker Talker – It’s logical for him to give this race a try after finishing third in the Mine That Bird last time out. This race will be a tougher challenger for him, though, which makes him a pass in this spot. He might play a part in the early pace, but that will likely be his biggest contribution to the race. #9 Diamond Blitz – From a pace standpoint, this horse will play a factor; however, it is hard to imagine that he will be around when the real running begins down the the stretch. In each of his three past dirt starts, he finished fourth, all against much easier company than what he’ll face here. #7 Pasamonte Man – It is always hard to envision a maiden winning a race along the Kentucky Derby Trail. Last time out, he was a decent fourth in the Mine That Bird; however, this field will prove to be much tougher for him. #8 Collusionist – His two races this season have left a lot to be desired. He may end up being the longest shot on the board after he losing the Mine That Bird by over 13 lengths last time out. #10 Eye Cloud – This was a surprise entry to the race after his major struggles in the Mine That Bird. It is hard to see him making any impact at all against the toughest field that he’s ever faced.